Our solar system is a disc. Remember those plastic 3D diagrams of our solar system from elementary school? The then-9 planets connected by thin metal wires to the large yellow sun in the middle? Well… Yeah. That’s what it looks like… in a way. Our planet and several others orbit around our sun in this disc shape, but while the disk is mostly flat its edges lift upwards like a paper plate. 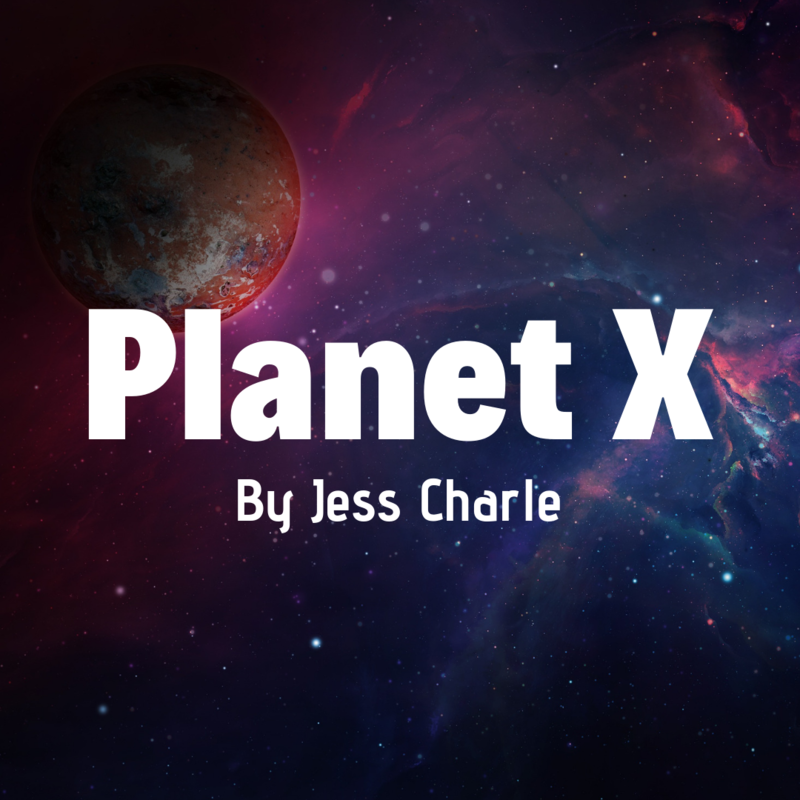 A team from Caltech claims that this is evidence of a massive planet at the edge of our system, Planet X. The reason we can’t see Planet X is it’s just too far away for our modern telescopes to register. The light from our sun has to travel all the way past Neptune, past the Kuiper Belt, bounce off of Planet X and come all the way back, the light fading exponentially with every stage of its journey. At least that’s what they hypothesize. But I know the truth. Planet X doesn’t want us to see them. The dreams started a year ago. I would fall asleep only to immediately wake up somewhere else. Initially I thought of it as an alien zoo, like the one described in Kurt Vonnegut’s Slaughterhouse Five. That first night is still vivid in my mind. I awoke in a small white room, bare except for a large spherical object. It was as large as a boulder but with a flat top. Its sides were white and smooth just like the walls. As I stood, I realized I was standing in water. I looked around and saw that I was in a shallow pool lined with small black stones which were cool and smooth to the touch. Before me was a wall made of glass. I stepped to it, pressing my face against it as I looked out towards a lush nightscape. Despite the darkness, the campus around me was illuminated by green and purple vegetation that glowed in the dim light. Large blooms the size of my entire body, ranging in colors from dull pink to bright yellow, loomed over my room like jungle trees, the bioluminescent lights within them shining like tiny stars in the night. Twisted vines extended from the organic roof to the ground, which was made up of a coarse reddish dirt. I immediately noticed that my room was not unique. Across from me rose a wall of similar squares filled with beings of all shapes and sizes, many of which my mind couldn’t even fathom. In one room was a perfect triangle of pure white light. I was surprised to find that it wasn’t too bright or hot to look at it, and I stared at the light for several minutes mezmorized. Soon my head began to buzz like a combination headache and brain freeze while holding a running jack hammer. It felt as if there was a needle drilling into my skull through my eye. I ripped my gaze from the creature and the sensation vanished. I avoided looking at that room from that point forward. The room above the one directly across from me held a being like our werewolf. It was bipedal and shaped like a human man, but covered in a dense coarse fur, a mix of black and silver. Its hands ended in long claws with black webbing between bones shaped like fingers. It’s teeth were large and sharp like a wolves, yet instead of proportional dog ears it’s ears were huge and conical. The beast also lacked any eyes from what I could tell. I assumed it was able to read space from echolocation like a bat, yet I never actually saw it move. It simply sat on the floor of its cage and looked out the window it didn’t seem to see. Above the werewolf-bat was a giant millipede. It looked and moved exactly like an earth millipede but was thicker than a grown man and longer than a limousine. The room was too small for it to stretch out so it coiled on top of itself, it’s many legs twitching in sync so they moved like an ocean wave. The most interesting room appeared to be completely empty. Yet, if you looked at it from your peripheral, the air in the room began to wave like heat rising from black tarmac. I felt a warmness when I looked into this room. A subtle bliss, as if you were drunk but it wasn’t anything like being drunk. It was a wave of warmth through your body that made your skin prickle with satisfaction at an unknown, unrecognized touch. Across from me was an alien much like a human woman. Her body was that of our world: two legs, two arms, two breasts, two eyes, a nose in the center of her face, and hair on the top of her head. From a distance, I would’ve thought she was human but I was close enough to see the subtle differences. The skin of her stomach was interrupted by five small circles which I realized were belly buttons. Or at least, that’s what they looked like. Her eyes were an unnatural yellow that looked more like gold foil than an eye color. The long brown hair that hung over her shoulders swayed as if in a breeze, yet if her room was as identical to mine as it seemed, there wouldn’t be any air to move it. She caught my gaze and smiled, nodding in my direction. I woke up in a cold sweat. My arms shook with the effort of lifting myself from my bed. It was several hours before I needed to get up for work, but I knew I wouldn’t be getting back to sleep. I took a shower, the hot water drumming into my skin, renewing the circulation of my blood and revitalizing my muscles which felt atrophied. Work was the usual boring humdrum. I couldn’t focus, the dream from the night before echoing in my mind. Ever since I left the warmth of my shower my skin felt cold and clammy. My boss even commented on my sweater. “You know it’s June, right George?” She chuckled. I smiled good naturedly as I struggled to control my shivering. That night, I dreamt of the zoo again. The woman smiled at me. I waved to her. She looked confused at first before returning the gesture which appeared awkward and unnatural to her. I smiled. This repeated for months. Every night I would dream of waking in the zoo. It felt so real, so tangible. I could feel the material of the walls, similar to plastic but spongier. With every dream the woman and I would communicate more. First through simple gestures, like waving and nodding, then progressing to more complicated thoughts. Her hands hovered over her eyes before she brought them down quickly. She was sad. I touched the glass between us, then pointed at her and then to myself. I wanted to meet her. She touched the glass, then knocked on it, then shook her head. We would never meet. I made the gesture for sad and she nodded. I pointed to myself and then to her, and then to my heart. I hugged myself. Friend. She hugged herself in return. The zoo was a strange place, neither bad nor good. I never saw any spectators or even anyone who seemed in charge of the zoo. We were never fed or taken care of. We just were. The woman and I grew closer with every dream. It was as if she were real. The bond I felt with her was so deep, it couldn’t all be a figment of my imagination. We couldn’t tell each other names, so I referred to her as Remi. She reminded me of my brother Derek, who had a stuffed lion named Remi. Derek is my favorite person in all the world. At least, he was. He passed away a few years ago. He had been born deaf and mute and I think he would’ve liked Remi. Every time I woke in the zoo I would go to the window and every time Remi would greet me by signing sad before hugging herself. She was sad, but my friendship helped. I asked Remi how long she had been there. A long time, she said. She gestured to the sky and brought her hands from her eyes downward. She missed home. I gestured to the sky and pointed to myself, closing my eyes as if I were asleep, and pointed back to the sky. I go home in my sleep. Remi repeated my gestures and then aggressively shook her head. I brought my hand to my chin, our sign for a question. I didn’t understand. Remi repeated the gestures, pointed to herself, and then shook her head. I pointed to her, then to the sky, made the motion for sleep, and then shook my head. She nodded. She used to go home in her sleep. I brought my hand to my chin. What happened? Remi opened her mouth in a scream, her face twisted in anger. I heard nothing, the sound trapped within her walls. Suddenly she turned wild, jumping and stomping, her hair spinning around her head as if in a hurricane. Her body twisted as if boneless, a slug being pulled at either end by her pain. Finally, she stopped and looked at me, her hair calming enough to rest mostly still by her face, now streaked with tears. She pointed to the white sphere in her room and then to the sky. I followed her finger, my heart pounding in my chest. Fear gripped at me tightly. I had never seen Remi look or act like this. She was no longer sad, she was angry. Turning away from me, she walked to the white sphere in her room and touched the surface. She looked up expectantly. I walked to the matching object in my room and placed my hand on it. Nothing happened. I looked up and she rose her hand in the air to make a circular gesture. Using my fingertip, I made a circle on the flat surface. I jumped with surprise as the top of the object lit up with a blue light. It was a computer screen. In the middle was a circle as small as a marble that I recognized as earth from a great distance. Remi pointed to the sky. Looking up through the alien canopy I could see a faint yellow star, closer than any other star yet still barely larger than a pinprick. She pointed to me. The sun. Our sun. I jolted upright, my bedroom unfamiliar around me in the twilight. The next night I opened my eyes to the now familiar ceiling. I went to sit but I was unable to move. Struggling, I realized with immediate panic that I was restrained. I looked as far to the right as possible, straining my eyes to see something, anything. My head was being held in place but I was able to make out the black stones beneath me which glowed like the bioluminescent plants outside. I looked back up and screamed as my vision was filled by a new alien creature hovering inches above my face. It’s skin looked like a seal’s, soft and wet. The head that hung over me was featureless except for hundreds of glowing black shapes, identical to the stones I laid on. Around it’s head was a thick mane of what looked like a mix of seaweed and fur. One of the appendages around its neck stretched towards me and I futilely tried to squirm from its reach. As it’s flesh touched mine white hot heat sizzled against my skin. It felt like I was being branded by the sun. My screams were no longer able to produce any sound, the only escape for my fear and pain abruptly cut off. More heat began to crawl from its touch like veins reaching across my skin. As the sensation hit my chest I felt it inch towards my heart, which convulsed erratically under the heat’s weight. My throat begun to burn as it rose inside of me, filling my entire being. It was as if I were being squeezed from the inside out. And then I woke up, my bed once again soaked. My stomach ached from the pain of my dream and I lightly brushed my fingers over the area. A pained hiss escaped through my clenched teeth and I tentatively lifted my shirt. Beneath my ribs was a large circular burn the puckered and oozed. My breath caught in my chest, a sensation I hadn’t felt since I fell off my bike as a child, my back slamming into the hard concrete. I gasped like a fish as my throat struggled to claim the air my lungs needed. My face was wet with tears. I called out of work that day. And the next. Every night I woke to that, that thing. Every night it touched me in a different spot and every night I was filled with a different pain. Sometimes it was the burning of the first night. Sometimes it forced its way through me like ice, slow and solid, the freezing pain seizing in my muscles, my heart straining to beat. Once it was sharp and stabbing, as if my flowing blood had turned into hundreds of needles. Every morning I woke, my body bruised and battered. I was cut, burnt, bloodied, and torn. My veins grew dark beneath my skin like black trails etched into the fabric of my being. I tried to go to the doctor but they dismissed me as a junkie. The frequent calls out of the office lost me my job. Eviction notices started to pile up inside my door. But none of that matters. Last night was the first night in weeks I awoke unrestrained. Crying with relief, I stood, my legs shaking beneath me. The first thing I noticed was that, for the first time, it was day. I blinked, my eyes unused to the light as I looked to Remi who stood with her hand against the glass. A gesture I was happy to reciprocate. The forest around me glowed in the radiance of the light. As my eyes began to adjust, I was overwhelmed by the surprisingly bright and vibrant colors of the forest around me. I beamed at Remi. It was beautiful, but Remi’s face was drawn tight in concern. She pointed to me, then to herself, then to the stone pool behind her. She shook violently, her face clenched as if in pain. They had tortured her too. I brought my hand to my chin. Why? There in the sky a fire burned. Not like a sun, but a much smaller and closer glowing sphere of heat. A stream of fire stretched like a tail from the ball as it flew over us, a caricature of a comet. It wasn’t day, instead the world was illuminated by a massive rocket more than fifty times the size of any I had seen on TV. I looked back at Remi who pointed to herself, then to me. Sad. She pointed to the screen beside me. I stepped to it and made the circular motion to turn it on. The small marble earth appeared, as it always did. I tilted my head. Something was off. I leaned closer to get a better look. In the foreground of the screen there was nothing but blackness where usually there was a cluster of stars. A part of space was empty where it shouldn’t be. I looked to Remi. Sad. I pointed to the screen and brought my hand to my chin. What is it? Remi pointed to the rocket, then to my screen, and then back to the sky. They were coming. Stepping back from the screen in shock, I shook my head. No. I brought my hands together and pulled them apart as far as I could. Far. Too far. Earth was too far. Remi closed her eyes as if in sleep, then opened them, closed them, opened them, faster and faster. Time. She closed her eyes one final time, keeping them closed before slowly opening them and looking at me. Time passing. She pointed to the pool behind her, then to me. I looked back to the sky. The rocket, a giant ball of fire and metal, hung heavy above the atmosphere. I shook my head and looked back to Remi. Far, I gestured again. Even with their advanced technology it would take Planet X more than a millenia to travel to earth. She pointed to the pool and then to me and repeated the gesture for time passing. I shook my head and brought my hand to my chin. I don’t understand. Remi pointed to the ground, the zoo, then to herself, then to the sky, to the screen in my room, and then to the pool. Time passing. Here. Remi. The pool. Time passing. Earth. Here. Remi. Time passing. Earth. The pool. She pointed to the screen. Information. She pointed to me. Information. Time passing. Earth. Me. The pool. Information. Time passing. It would take millenia for the aliens to reach earth. Time passing. The pool I always woke up in. Time passing. My head spun. She pointed to herself and her screen, then to the sky. Remi. Remi’s home. Time passing. And then she screamed, her mouth stretching as it had only one time before when I had asked why she was sad. She stopped and looked at me. I shook my head, stepping backwards. No. No. No no no no. Remi pointed at me and then brought her hands to her eyes. Sad. My stomach dropped and my mind buzzed. I looked up at the rocket which appeared to hover above us, then back to the screen which showed the same rocket approaching earth. I wasn’t being brought across space. I was being brought across time as well. I looked to Remi who nodded. Why? Remi pointed to the screen. Information. They wanted to know what we’d be like when they got there. I fell to my knees. No. It couldn’t be. I looked up. Remi was waving.